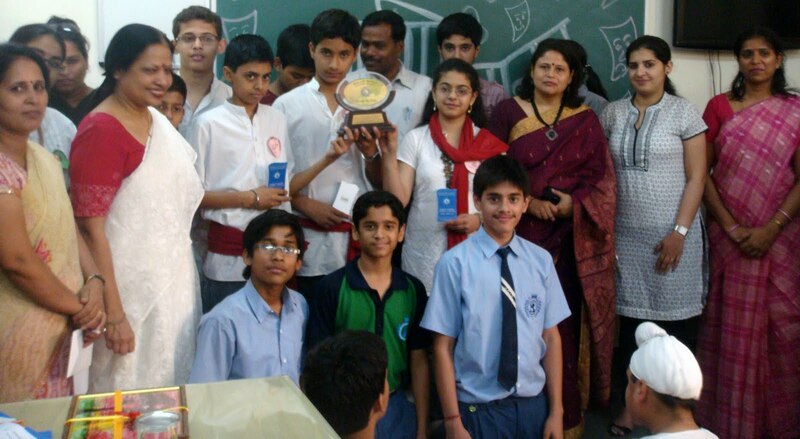 Students of JM International School, Sec 6, Dwarka brought laurels to the school. JMIS sternly believe that ‘all the children are creative.’ And creativity comes from trust in one’s potential. Principal, JM International School, Mrs. Renu Jain never leaves a stone unturned to encourage creativity in any form & make students self-reliant. Nina Sharma of JM International School brought glory to school. She bagged fourth prize in Slogan Writing Competition organized by Sulabh International School on 7 April 2010 where twenty schools participated, hence proving that real joy lies in the creative effort. Students of classes I to IX participated in International Informatics Olympiad, where Utkarsh Mishra of class I emerged as First Runner Up in State as well Class Rank & Second in Olympiad Rank by obtaining 97.84%, winning a Digital Camera, & the certificate. Shibabrata Ghosh has acquired National Rank Topper in National Sciemce Talent Search Exam, organized by Unified Council. School Principal felicitated the winners. Addressing the students she encouraged them work diligently & harder as it is only the key to success. JM International school, Dwarka organized “ Nurture the Narrative-2010”, a mélange of inter-school competitions on April 27 & 28.The eighteen prestigious schools of Dwarka participated with full enthusiasm & gusto. Thought, creativity & awareness provoking competitions- Jago Manav, Tell a Tale, Be a Radio Jockey, Animation & craftsman were organised to promote students’ talent & confidence. Principal Ms Renu Jain greeted the competent participants & encouraged them to give their best and trust their talent. Ms Swati, Ms Anuradha , Ms Harpreet from HT-Pace, Ms Puneet Kaur (Free Lancer) were the esteemed judges. Exuberant performance of the competitors made their judgment intricate. Proud winners of Rolling trophy in Animation – Shri Venketshwar, sec-18, Tell A Tale & Jago Manav- R.D Rajpal, Radio Jockey was won by Paramount International & Craftsman by Bal Bharti Public School.